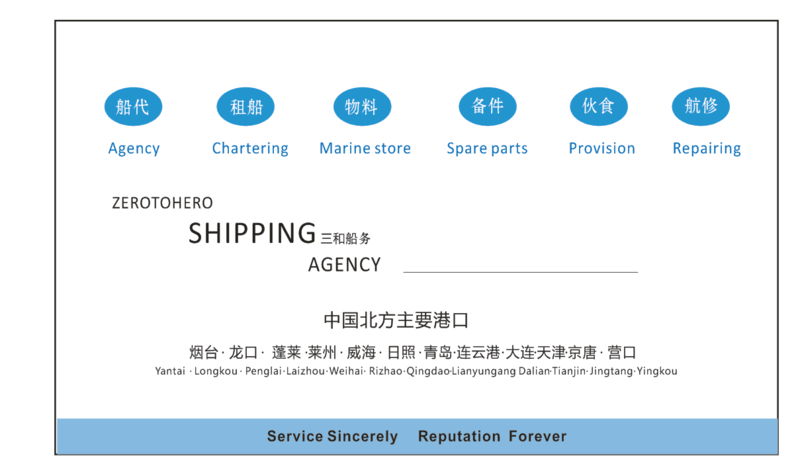 Ship agency, Chartering, Logistics, Provision,Ship spare parts, Marine store, Voyage repairing. Service Port:Yantai, Longkou, Penglai, Laizhou. 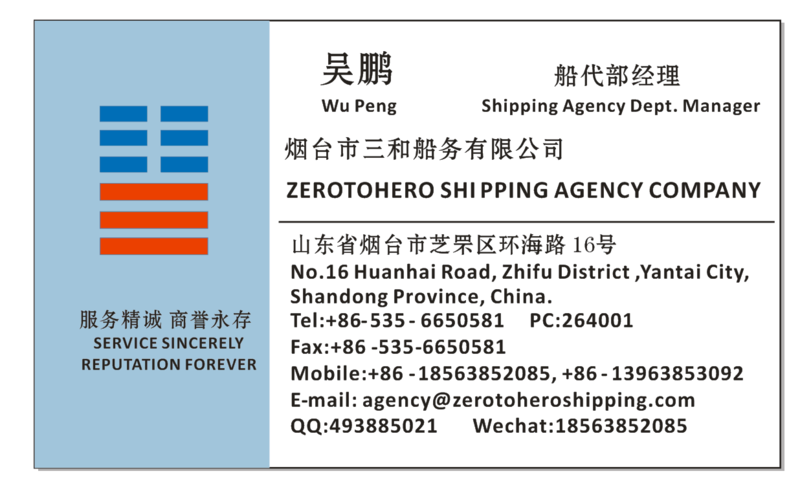 ZEROTOHERO SHIPPING AGENCY COMPANY. Our company own experienced management team and operating team, We offer professional international shipping agency service and ship supply service(including clearance of ship berthing n departure formalities/ crew change service/protection agency service/ marine store/provison/spare parts etc). We maintain good relationship with Harbor n related official joint inspection departments. We ensure your good ship getting best services from us.